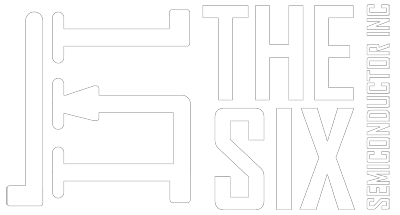 The Six Semiconductor Inc is a silicon IP startup in Toronto, Canada which is focused on GDDR6 PHY IP design. At The Six Semiconductor (The Six), our vision is to offer best in class mixed-signal IP combined with exceptional service, thus enabling SOC companies to bring their product to market in highest quality and shortest time. When compared to competitors, our IP achieve higher performance at lower power and area, while offering the flexibility and ease of integration to our customers. Our team is highly experienced with a long list of achievements and accomplishments in the semiconductor industry. We strongly believe in a culture of transparency and trust. By ensuring important information are readily accessible, we entrust our staff to make the best decisions resulting in superior products and customer service. We also foster a continuous learning environment with an emphasis on a well-rounded career. Our compensation and benefits package is very competitive as we believe best talents should be rewarded accordingly. We welcome you to be part of this fast-growing team making an impact in the industry. If you like to join our excellent team, please send your resume to careers@thesixsemi.com.